Franz Liszt is considered to be one of the first superstar’s of music. The power of his performances on stage made the ladies swoon, and his fans were so fierce that his contemporaries gave a name to this phenomenon: Lisztomania. This young Hungarian prodigy was often compared to Mozart and helped to revolutionize the world of the piano. He was a composer, conductor, pianist and teacher and was the inventor of the symphonic poem. This documentary takes us in the footsteps of the indomitable virtuoso throughout Europe. From Parisian salons to the sublime shores of Lake Como, from Budapest to Weimar via Rome or Geneva, this revealing program then meets supporters of the memory of Liszt and pianists who dare to confront his work. But if the composer of the famous Hungarian Rhapsodies was a tireless traveler, he was also that way in his love life. Among his many female conquests were the two major women in his life, the Countess Marie d'Agoult and Princess Carolyne Sayn-Wittgenstein. 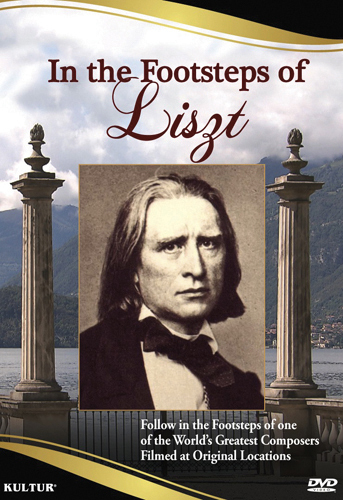 Liszt’s life was full of turmoil, but it was also one of great brilliance and genius. This informative and entertaining documentary explores a life worthy of its heroic era which saw the birth of Romanticism.